The viruses were already familiar to the researchers—in the second half of the 20th century, corn crops in Kansas suffered a similar fate. 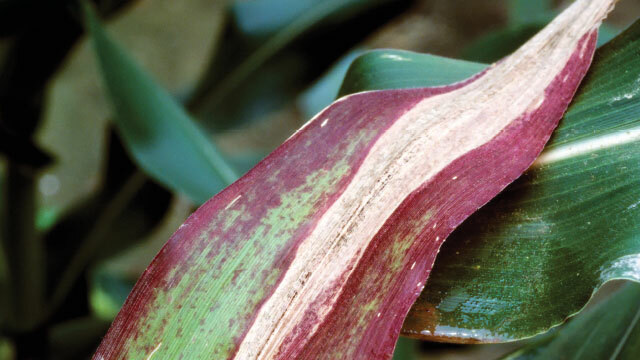 Known as maize lethal necrosis, the disease is caused by a combination of sugarcane mosaic virus (SMV), a common virus that is not usually harmful to maize, and a strain of maize chlorotic mottle virus (MCMV). MCMV is damaging to maize crops on its own, but in combination with SMV, the effect is exacerbated. While there hasn’t been a major outbreak of maize lethal necrosis in Kansas since 1988—thanks to a rotation of disease-tolerant corn varieties—when the viruses struck Kenya in 2011, the local maize had no defense. By the following year, the disease had infected 77,000 hectares of Kenyan farmland, costing an estimated USD $52 million. It has now spread to most east African countries and threatens food security for millions of people. Unfortunately, maize lethal necrosis is hardly unique; in general, plants are just as susceptible to viral infections as humans and other animals are. And viruses are particularly dangerous because, unlike bacteria and other pathogens, they cannot be killed with antibiotics or pesticides. “At the moment, there’s not much to be done with plants that are infected,” says Jean-François Laliberté, a virologist at the National Institute of Scientific Research (INRS) in Quebec, Canada. So when viruses strike, farmers are often forced to destroy crops, clean tools and machinery, and then replant with seeds from elsewhere. In recent years, however, scientists have turned to inventive new ways to protect crops. Genetic modification techniques developed over the last 30 years, for example, can arm plants with defenses against viral invasion, while leaving crop yields and food quality unaffected. Some of these modified plants are now in the food chain. More-recent gene editing techniques are refining this approach, allowing researchers to make precise changes in plants’ DNA to engineer a more resistant generation of crops. Several such varieties are now being tested in lab and field trials, while a handful await safety approval from national regulatory bodies. The study of plant viruses has a long history. In fact, it was in plants that viruses were first discovered. In the late 1850s, a devastating disease began spreading across tobacco plantations in the Netherlands. Scientists at the time found that injecting sap from infected plants into healthy ones spread the symptoms—mottling and discoloration of the plants’ leaves—leading researchers to assume that the affliction must be caused by a bacterium. However, additional experiments in the 1890s showed that the infectious agent spreading the disease could pass through the tiny pores of a porcelain water filter—far too small to allow the passage of any known bacterium. In 1898, Dutch microbiologist and botanist Martinus Beijerinck coined the term “virus” to describe the mystery contagion, though it would be another few decades before researchers characterized exactly what it was. New viral genomes, sometimes packaged into a new protein capsid, are then carried away to neighboring cells through small channels in cell walls called plasmodesmata. But it takes a little coaxing, as these passageways typically allow the transit of small molecules, but not of proteins and RNA. 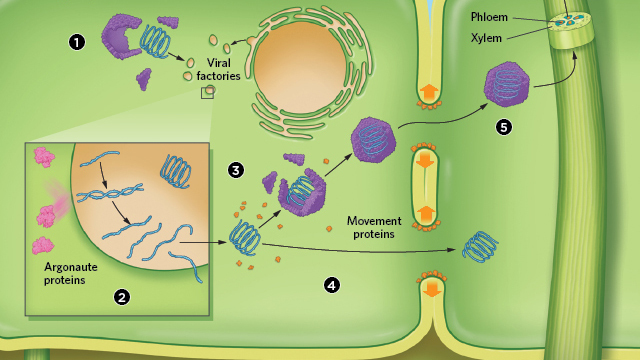 So viral factories produce what are called movement proteins, which trigger the channels to widen. 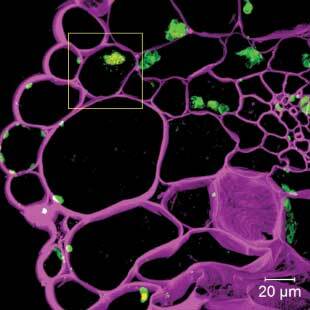 Some viral particles also manage to make their way into the phloem, where they have a chance of being sucked up by a sap-feeding insect like an aphid and carried away to infect other plants, often decimating entire fields of crops. Of course, plants are not passive victims in this relationship, and many have evolved genetic resistance to viral infections. (See “Holding Their Ground,” The Scientist, February 2016.) 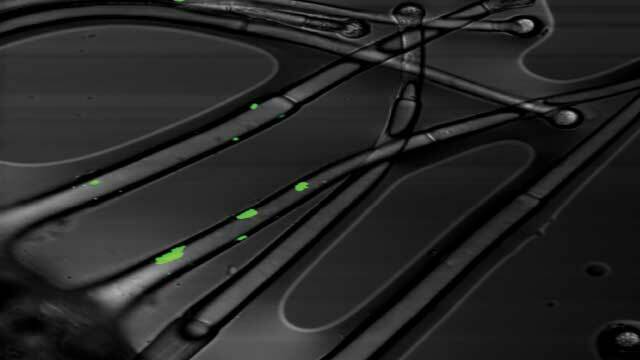 Understanding how plants defend themselves against attack has given scientists a head start in the race to protect crops, allowing them to engineer new, resistant varieties. PAPAYA PEST: Randall Pingel, an entomologist with the US Department of Agriculture, examines papaya fruits for symptoms of papaya ringspot virus, which struck the $11 million papaya industry in Hawaii in the 1990s.PEGGY GREB, USDA/ARSOne of the first lines of plants’ natural defense against viruses, deployed when the cell detects double-stranded RNA, is RNA silencing. Plant enzymes called Dicer-like proteins take viral RNAs and turn them into small interfering RNAs (siRNA). These siRNAs bind to a family of proteins called Argonaute as part of the RNA-induced silencing complex (RISC), which tracks down viral RNAs based on their similarity to the siRNA sequence and chops them into tiny fragments. “We now know that this is the major mechanism by which plants defend themselves against viruses,” says Hanu Pappu, a plant virologist at Washington State University in Pullman. Researchers have been boosting plants’ ability to use this mechanism to fight off viruses for more than 20 years. In Hawaii in the 1990s, the $11 million papaya industry was nearly decimated by papaya ringspot virus (PRSV), which yellows the leaves of the fruit trees and slowly kills them. A team at Cornell University inserted the ringspot virus coat protein gene into a bacterial plasmid, and fired gold particles carrying the plasmid at papaya cell cultures. They then germinated plant embryos that were expressing the foreign RNA, which would trigger RNA silencing against the virus. 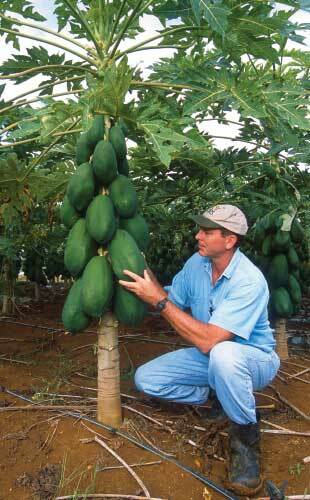 This new papaya variety, named Rainbow, is primed for PRSV, ready to silence its RNA as soon as it invades a cell. Rainbow papaya has been hugely successful and has come to dominate the Hawaiian papaya market since its commercial release in 1998. More recently, scientists have been taking advantage of this natural plant defense system to protect cassava, a starchy root vegetable that’s a staple in the diets of hundreds of millions of people in Africa, Asia, the Pacific, and South America. Cassava brown streak disease is caused by two viruses, Ugandan cassava brown streak virus (UCBSV) and cassava brown streak virus (CBSV), which have been infecting cassava crops since the 1980s. The disease only began causing serious problems for farmers in 2004, when the viruses spread out from coastal regions and across Tanzania, Uganda, Rwanda, and the Democratic Republic of Congo. Cassava plants had no natural resistance to the disease. Meanwhile, to produce a crop with resistance to a greater variety of CBSV strains, VIRCA researchers have combined the full coat protein gene sequences from UCBSV and CBSV into a plasmid and inserted it into the genome of an East African cassava variety that is preferred by farmers.6 This new variety, part of a project dubbed VIRCA Plus, performed well in confined field trials in Kenya and Uganda, with 16 out of 25 transgenic lines remaining symptom-free after 12 months.6 Field trials with these resistant lines continue, as the team works with national government regulators in Uganda and Kenya to seek approval for the new variety to be released for use by farmers. “The biggest challenge is still trying to negotiate this regulatory infrastructure,” says Becky Bart, a plant geneticist at the Donald Danforth Plant Science Center in St. Louis. HIJACKED BY THE ENEMY: Cross-section of stem infected by turnip mosaic virus; virus replication factories stained in green, cell walls stained in magenta.JUANE WANPlant breeders have long been making use of such naturally occurring genetic resistance, selectively crossing wild varieties to produce more-resistant crops. For example, in the 1980s, work led by scientists at the International Institute of Tropical Agriculture succeeded in breeding partial resistance to the geminivirus-caused cassava mosaic disease—resistance that’s found in closely related wild species of the root vegetable—into cultivated varieties across Africa.10 By cross-breeding cultivated cassava (Manihot esculenta) with its wild relative, tree cassava (M. glaziovii), the team was able to introduce naturally occurring resistance to the disease, controlled by multiple genes. Such traditional breeding approaches can take decades, however—a cumbersome prospect when new resistance genes must be introduced for each new viral strain that evolves. More recently, scientists have used genetic engineering techniques to more swiftly and precisely arm crops with such resistance. “Genome editing has just completely revolutionized every part of biology,” says Bart. Last year, doing screens in yeast, Bart and her collaborators identified two eIF4E proteins from cassava that interact with CBSV and UCBSV VPg proteins. Then, using the CRISPR-Cas9 system, they edited the sequence of those genes to prevent their expression, resulting in a cassava variety that showed improved resistance to the viruses in greenhouse trials.11 The CRISPRed cassava plants weren’t fully resistant, however, suggesting that the viruses may also be able to interact with the three remaining unedited eIF4E proteins. The team hopes to fine-tune the system to engineer a fully resistant cassava plant. 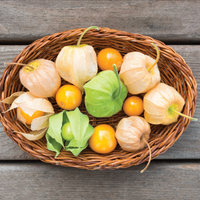 Recent studies have revealed other tricks used by plants to fight off viral infections. For instance, the process designed to recycle damaged or unwanted objects in the cell—autophagy—has been coopted to remove viral particles, too. Working with tomato plants (Solanum lycopersicum), Yakupjan Haxim at Tsinghua University in Beijing, China, and colleagues found that the plant’s autophagy protein ATG8 binds the viral ßC1 gene, which encodes an essential protein for infection by geminiviruses, transporting it to an autophagosome for degradation.12 Viruses carrying a mutated version of ßC1, which cannot be bound by ATG8, cause more-severe symptoms and replicate more rapidly. Conversely, when the researchers promoted autophagy—by preventing the expression of enzymes that inhibit the process—plants of the model organism Nicotiana benthamiana, a close relative of tobacco, showed more resistance to three geminiviruses: cotton leaf curl Multan virus, tomato yellow leaf curl virus, and tomato yellow leaf curl China virus. As researchers continue to learn more about the natural defenses plants use to protect themselves against viral pathogens, and as they enlist rapidly advancing genetic engineering techniques to equip plants with such weaponry, the field is on its way to having the tools it needs to develop a new generation of resistant crops. But it will be an uphill battle. 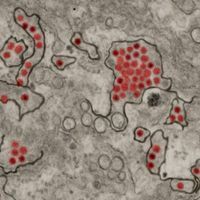 Viruses are constantly evolving, many times faster than the plants they infect, and it is only a matter of time before each virus develops a countermeasure to such resistance mechanisms. For example, many viruses manufacture a protein that can mop up siRNAs, binding them before Dicer-like enzymes can form a RISC complex; and potyviruses such as tobacco vein mottling virus have mutated their VPg protein, allowing them to bind to the modified eIF4E proteins that previously offered the plant resistance. “I think we have a long way to go to develop sustainable and environmentally sound approaches to really control virus diseases,” says Bryce Falk, a plant pathologist at the University of California, Davis. While genetic editing may be paving the way to more-resistant crops, the approach’s application to agriculture is still in its infancy. Each new variety requires extensive testing for safety before the engineered plants can be deployed in the field. For now, quick identification of new viral threats and strict hygiene and quarantine regulations remain critical, by containing outbreaks before they can spread and cause widespread crop losses, particularly in developing nations. The Plantwise project is a global program led by CABI that aims to do just that. Launched in 2011, the project works with farmers in Africa to help diagnose and treat plant health problems. One of their key innovations has been Plant Clinics, where local farmers can meet with trained plant health experts to identify pests and pathogens. 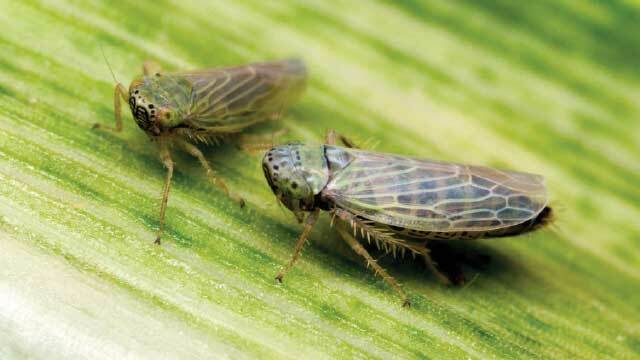 These meetings “have been pivotal in the identification of some of these new pests that are coming to different countries,” says Phiri. It was at one of the clinics that maize lethal necrosis was first detected in Africa six years ago. “Early detection is crucial, and plant health clinics are playing that role,” he says. But new technology can also help. For example, MinION portable DNA sequencers being used by the Cassava Virus Action Project are helping farmers in developing nations identify new viruses, allowing them to quickly take action to minimize transmission. Although the best studied viruses are those that cause disease, the vast majority of plant viruses may not be harmful at all. Most viruses that plague agricultural plants have close relatives in wild plants, which don’t seem to suffer from infections. “Most of the time viruses don’t cause any symptoms in wild plants,” says Marilyn Roossinck, a viral ecologist at Penn State University. “And now we’re finding that some of them are truly beneficial”—at least under certain conditions. For example, Roossinck’s research group has found that brome mosaic virus and cucumber mosaic virus (latter shown in background image) both help some plants cope with drought stress, possibly as a result of the changes to plant cell metabolism caused by viral infection (New Phytol, 180:911-21, 2008). In both Arabidopsis and tobacco plants, for instance, researchers at the Centro de Investigaciones Biológicas in Madrid, Spain, found last year that simultaneous infection with two different viruses increased levels of salicylic acid, a plant hormone linked to stress and drought tolerance (Plant Cell Environ, 40:2909-30, 2017). “If the conditions are normal, then the virus may be harmful,” Roossinck explains. “But when you have a drought, then the virus becomes beneficial.” While the precise mechanisms by which viruses make their hosts more drought resistant are still poorly understood, it’s possible that one day the molecular mechanisms underpinning such viral infections could be deployed in an agricultural setting to help crops deal with dry conditions, she adds. 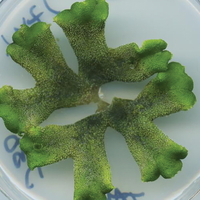 In addition to such acute viral infections, plants harbor an array of persistent viruses, which reside permanently within healthy organisms and are transmitted from one generation to the next via seeds. “In wild plants we find about 60 percent of the viruses fall into this persistent category,” she says. Many of these viruses, too, may benefit their hosts. For instance, white clover cryptic virus inhibits the formation of nitrogen-fixing nodules in legumes such as lotus when nitrogen levels are high, helping the plants use resources more efficiently. I.P. Adams et al., “Use of next-generation sequencing for the identification and characterization of Maize chlorotic mottle virus and Sugarcane mosaic virus causing maize lethal necrosis in Kenya,” Plant Pathol, 62:741-49, 2013. X. Wang et al., “Pathogen-derived transgenic resistance to soybean mosaic virus in soybean,” Mol Breed, 8:119-27, 2001. J.S. Yadav et al., “RNAi-mediated resistance to Cassava brown streak Uganda virus in transgenic cassava,” Mol Plant Pathol, 12:677-87, 2011. E. Ogwok et al., “Transgenic RNA interference (RNAi)-derived field resistance to cassava brown streak disease,” Mol Plant Pathol, 13:1019-31, 2012. G. Beyene et al., “A virus-derived stacked RNAi construct confers robust resistance to cassava brown streak disease,” Front Plant Sci, 7:2052, 2016. H. Wagaba et al., “Field level RNAi-mediated resistance to cassava brown streak disease across multiple cropping cycles and diverse East African agro-ecological locations,” Front Plant Sci, 7:2060, 2017. S. Ruffel et al., “A natural recessive resistance gene against potato virus Y in pepper corresponds to the eukaryotic initiation factor 4E (eIF4E),” Plant J, 32:1067-75, 2002. A. Duprat et al., “The Arabidopsis eukaryotic initiation factor (iso) 4E is dispensable for plant growth but required for susceptibility to potyviruses,” Plant J, 32:927-34, 2002. 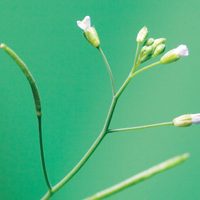 T. Keima et al., “Deficiency of the eIF4E isoform nCBP limits the cell-to-cell movement of a plant virus encoding triple-gene-block proteins in Arabidopsis thaliana,” Sci Rep, 7:39678, 2017. S.K. Hahn et al., “Breeding cassava for resistance to cassava mosaic disease,” Euphytica, 29:673-83, 1980. M.A. Gomez et al., “Simultaneous CRISPR/Cas9-mediated editing of cassava eIF4E isoforms nCBP-1 and nCBP-2 confers elevated resistance to cassava brown streak disease,” bioRxiv, doi:10.1101/209874, 2017. Y. Haxim et al., “Autophagy functions as an antiviral mechanism against geminiviruses in plants,” eLife, 6:e23897, 2017.